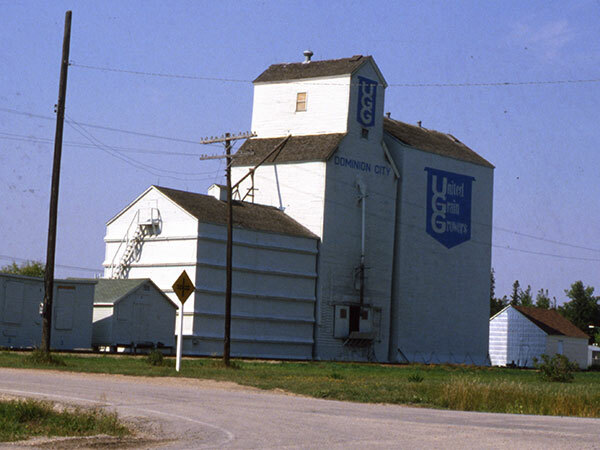 A 110,000-tonne grain elevator and annexes in the village of Dominion City, on the CPR Emerson Subdivision in the Municipality of Emerson-Franklin, were operated by United Grain Growers. The facility closed on 31 January 1999 and was demolished later that year. UGG took over the nearby Manitoba Pool elevator. This page was prepared by Gordon Goldsborough, Cliff Hunter, and Glenn Dickson.